"But please remember that Araby, as Europe came to know it in the Middle Ages and subsequently, was and is not so much an historically and anthropologically accuate representation of various cultures but rather a spendid amalgam of people, creatures, and places that never existed, except in storytellers' and readers' imaginations." The folk tales captured in One Thousand and One Nights—the Arabian Nights as they came be to known in Europe—represent a body of literature and legend—that might be called the "Matter of Araby"—which rivals that of the Arthurian folks tales—the medieval "Matter of Britain"—and of the Caroligian folks tales—the corresponding "Matter of France." But while the Arthurian and Carologian tales are products of (Christian, western) European civilization, the tales of the Matter of Araby are products of the medieval civilizations of (Islamic) Southwestern and Central Asia. The historical era of the Arthurian and Carolingian legends has inspired (early) modern adventure fiction set in medieval Europe while the fantastical elements of Arthurian and Carolingian legend have inspired fantasy and other speculative fiction which maintains many of the elements of medieval European civilization. Likewise, the stories of One Thousand and One Nights have inspired both (early) modern adventure fiction set in the medieval Middle East and Asia as well as speculative fiction which reflects the ideas and themes of the Arabian Nights. Scheherazade told tales of swords and sorcery but there were no sword-wielding heroines in her stories. Nevertheless many peoples have historical tales of women warriors. Some of these, like Mulan, Tomoe Gozen and Bradamante, may have served as inspiration for heroines of modern sword and sorcery. 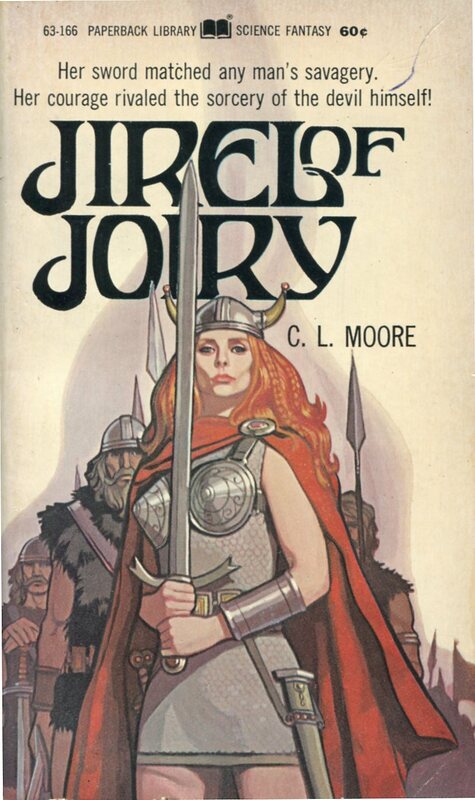 The first sword and sorcery heroine was likely C.L. Moore's Jirel of Joiry who first appeared in a story published in the pulp magazine Weird Tales in October 1934. ©2018 by Zarthani.net. The contents of this Web site are for personal, non-commercial use only. Any use of copyrighted material or trademarks anywhere on this site and its files should not be viewed as a challenge to those copyrights or trademarks. In addition, any material displayed on or served by this site cannot be republished or distributed without explicit consent from Scheherazade's Bedchamber.